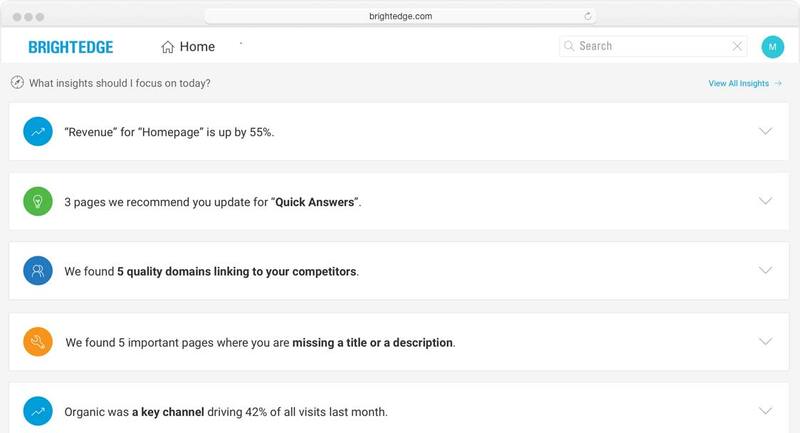 DataMind powers SEO and content marketing solutions from the BrightEdge platform. DataMind provides marketers with fresh, accurate, and actionable findings to drive website performance and results. BrightEdge invested heavily in data collection and synthesis technologies to help customers stay ahead of market changes. DataMind brings cutting-edge artificial intelligence and deep learning to marketers, giving them an edge over competitors. DataMind uses AI-powered pattern recognition algorithms to instantly identify consumer search trends, competitive threats and market shifts in real-time, helping you predict your opponents’ next moves and plan ahead. With artificial intelligence, DataMind takes a strategic, data-driven approach to review all potential findings and boil them down to prescriptive recommendations that will make the biggest impact on your website. Digital marketing has become very complex from opportunity identification through content creation to optimization. BrightEdge brings the AI firepower to my job and makes it easier for me to succeed. 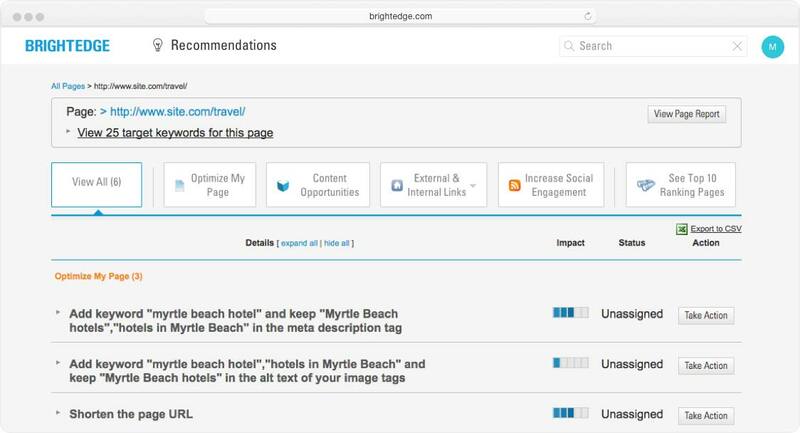 BrightEdge Insights uses deep learning and big data to recommend the critical actions that will drive the biggest impact for your business.